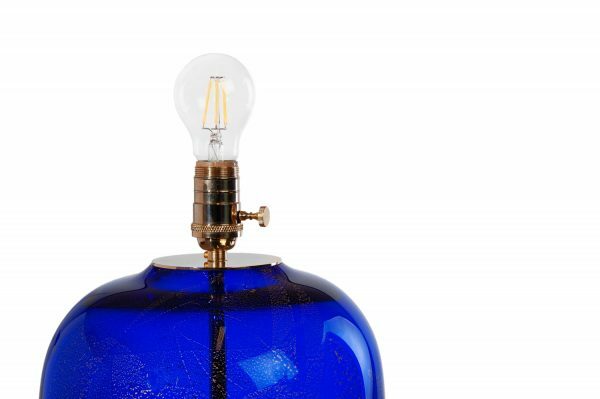 A truly magnificent lamp, completely handmade by our finest craftsmen. 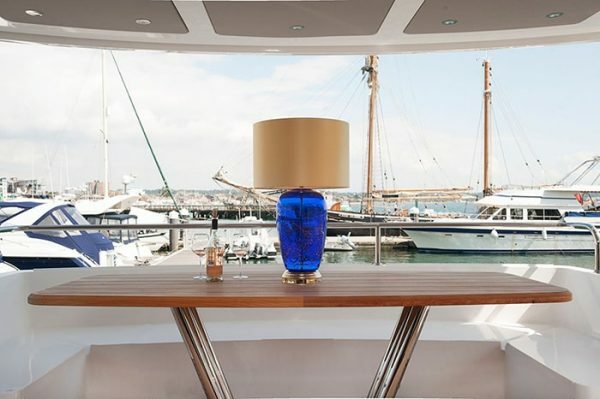 Every detail has been lovingly completed to perfection. 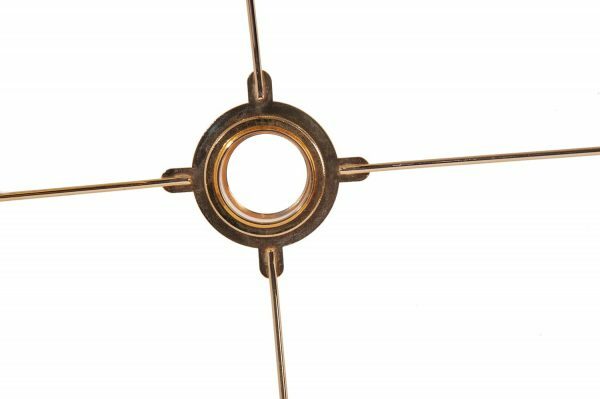 The base and all fittings are painstaking finished in 24ct gold, including the lampshade ring, despite that it is unlikely to be seen. 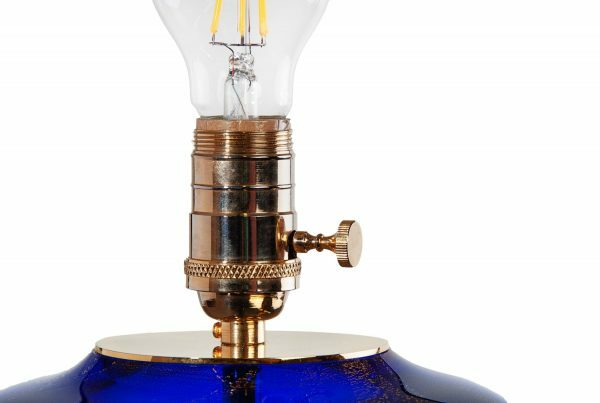 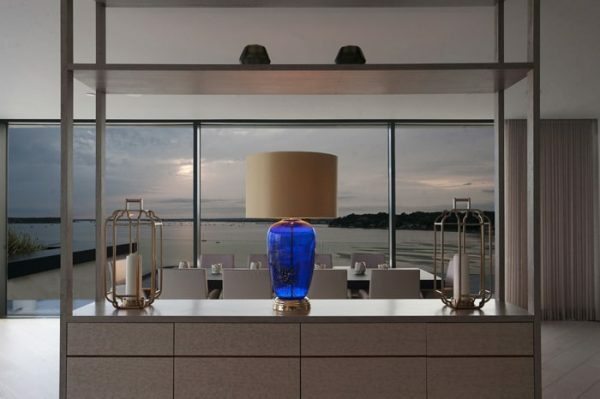 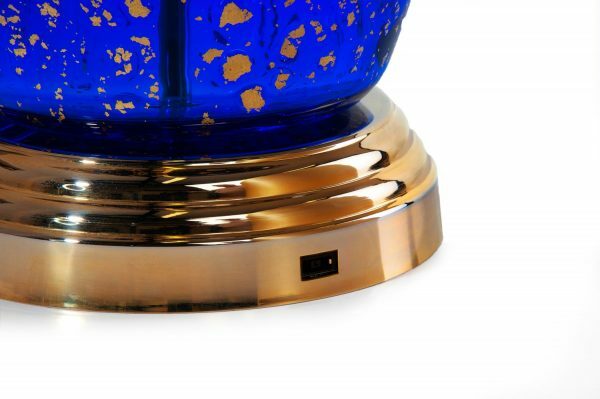 The body is handblown from high grade glass in Cobalt Blue, infused with 24ct Gold leaf. 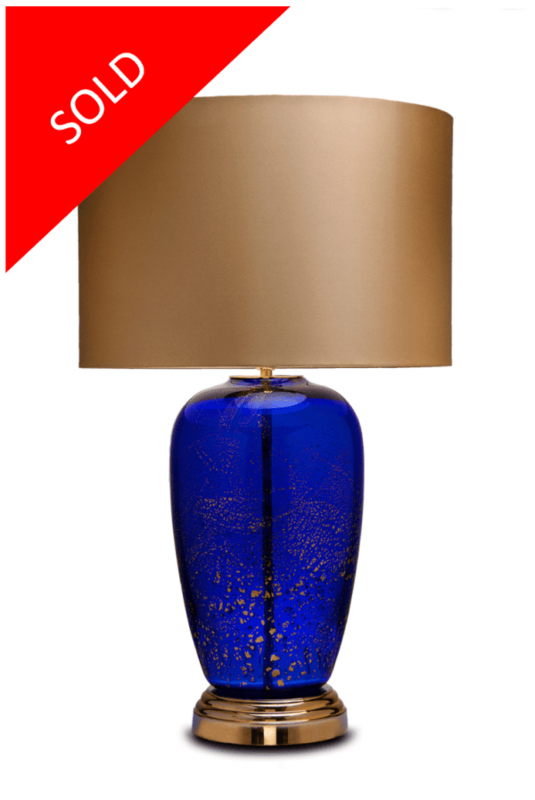 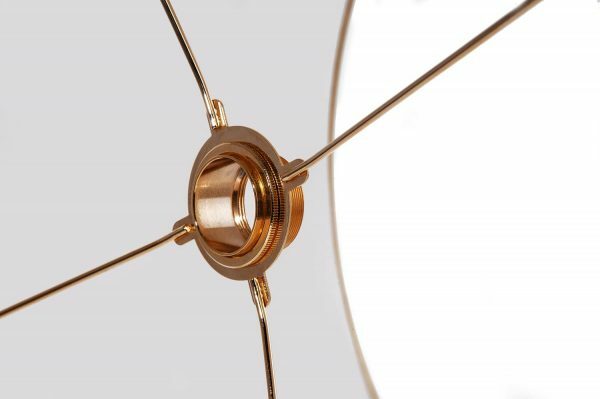 The 18” lampshade is handmade and finished in Gold satin silk. 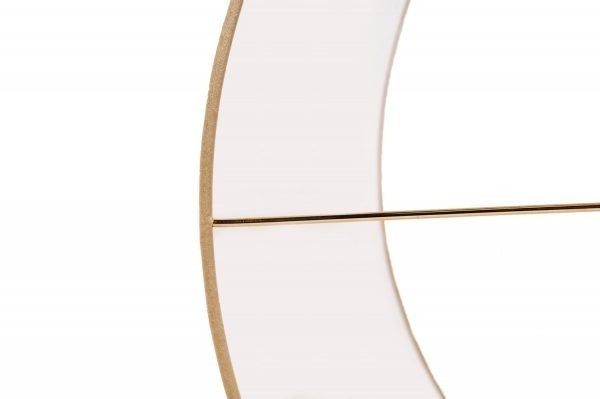 A true one-off.